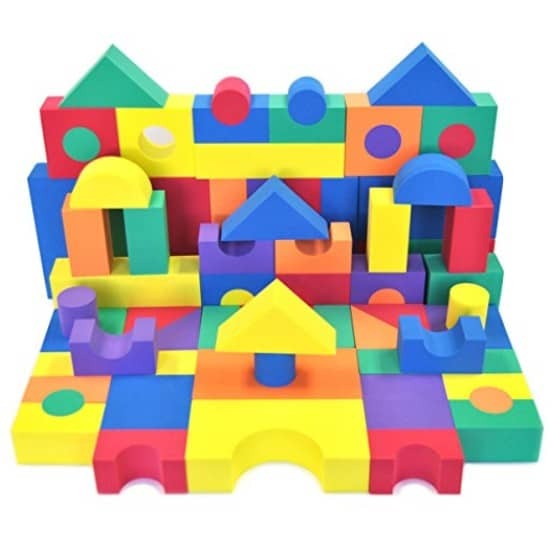 The Non-Toxic 70 Piece Non-Recycled Quality foam Wonder Blocks is on sale for $34.88 at Amazon right now. That's 42% off the list price of $59.99! 70 Piece Wonder Blocks in 6 vibrant colors: Red, Yellow, Green, Blue, Orange and Purple. Comes with 8 different shapes and sizes. The blocks are waterproof and can be cleaned during bath time. Wonder Blocks are safe and soft while passing the children's choke test along with exceeding all CPSC standards. Made from non-toxic material, non-recycled EVA, BPA free, lead free. Test report can be provided upon request. Develop children's creativity and sensory learning through shape, color and counting recognition while improving their motor skills and hand-eye coordination. The soft texture of the blocks is designed for children with sensitive skin and their safety as children tend to toss their toys compare to traditional wooden or plastic blocks.